For the first ten to fifteen years of your air conditioner’s life, annual maintenance is never a bad idea. It will improve the quality of your system and help in lowering expenses all-around. The best time to get it is before you plan to start using it, whether that be at the start of spring or just before summer. But even maintenance won’t do much good if your system is already too old. When it gets to that point, there’s nothing more you can do except to have it replaced. If you have a suspicion that your air conditioner is too old to operate efficiently, refrain from jumping into summer without a thorough inspection from a qualifid AC expert in Hammond. If you haven’t had your ducts tested before, this lull between winter and summer is the perfect time. Ducts can develop leaks over time, and those leaks can contribute to a serious loss of energy until they’re sealed up or repaired. Duct sealing isn’t something you’re going to need too often, but testing should be performed alongside your maintenance. No matter how much maintenance you get, no matter how new your system is, no matter how well your ducts are sealed, there’s always one thing that stands between you and ultimate efficiency: yourself. It won’t matter how efficient your system is if you use the thermostat too carelessly. And that’s not your fault—watching a thermostat 24/7 just isn’t reasonable. Instead of having to schedule your life around a thermostat, you can get a smart thermostat and let it do all the work for you. If you have air filters designed to trap pollutants and contaminants, make sure to change those. But in this context, we’re referring to the air filter that’s designed for your air conditioner. Every AC has one. Its job is to keep dust and dirt from interfering with sensitive components, such as the evaporator coil. The air filter needs to be changed roughly once every three months, making the start of spring the perfect time to check in on it. Dirty air filters can cause a slew of problems for your AC, including lowered efficiency and even serious repair issues. 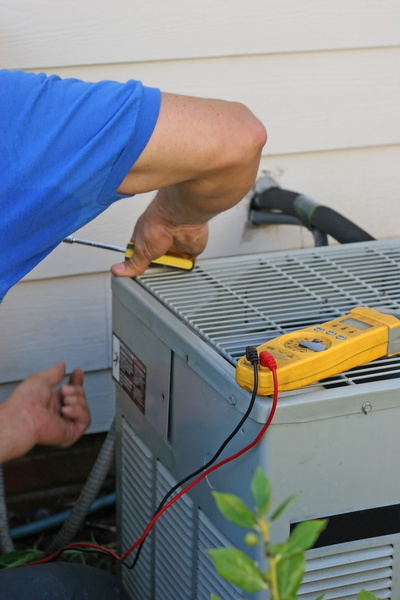 Not sure which services you need to get your AC running in the best condition? Contact Professional Heating & Air today to speak with an expert. When you need it done right call Professional Heating & Air.